Warren Buffett's quotes on investing are famous for their simplicity and wisdom. And as you will see, in his own words, he recommends investing in mutual funds. Mr. Buffett once told shareholders of his company, Berkshire Hathaway, that he would recommend his family invest their inheritance from him in one of the best S&P 500 Index funds, specifically from Vanguard Investments. You can't get clearer than these instructions: Mutual funds, especially low-cost index funds, are the best investment type for most investors wanting to outperform the average managed portfolio in the long run. And even the best Warren Buffett quotes on investing and life can be interpreted as implicit instructions to invest in mutual funds. 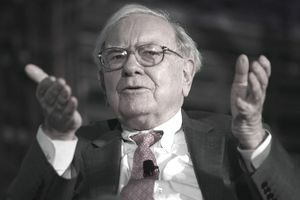 The power in the universal applications of virtues like simplicity, patience, moderation, and diversity are at the core of Buffett's philosophies. "Successful Investing takes time, discipline, and patience. No matter how great the talent or effort, some things just take time: You can't produce a baby in one month by getting nine women pregnant." "If you aren't willing to own a stock for 10 years, don't even think about owning it for 10 minutes. Put together a portfolio of companies whose aggregate earnings march upward over the years, and so also will the portfolio's market value." "Should you find yourself in a chronically leaking boat, energy devoted to changing vessels is likely to be a more productive than energy devoted to patching leaks." "Long ago, Ben Graham taught me that 'Price is what you pay; value is what you get.' Whether we're talking about socks or stocks, I like buying quality merchandise when it is marked down."